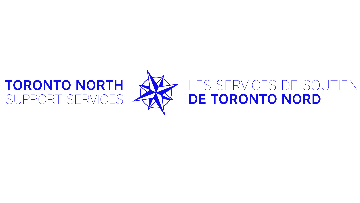 Toronto North Support Service, an accredited community mental health organization in Toronto, is looking for a dynamic, energetic and experienced leader for the position of Director of Mental Health Services. The successful candidate will hold a Masters degree in the health/human services field, with solid experience developing and managing effective programs and services. In this newly developed position, the Director will participate in the senior leadership team, reporting to the Executive Director and supporting Program Managers to fulfill the mission and mandate of the organization. Serving individuals who struggle with a variety of challenges including mental illness, addictions, poverty and discrimination, the agency strives to assist people to improve their lives in ways that are meaningful to them. The successful candidate will have strong clinical skills in mental health and addictions, and experience developing innovative programs within a Recovery philosophy. Representing the organization and developing partnerships at sector and regional planning tables is an important component of the position. An understanding of anti-racism/anti-oppression and health equity principles is essential. Toronto North is an identified French Language Service Provider, and knowledge of French would be an asset.